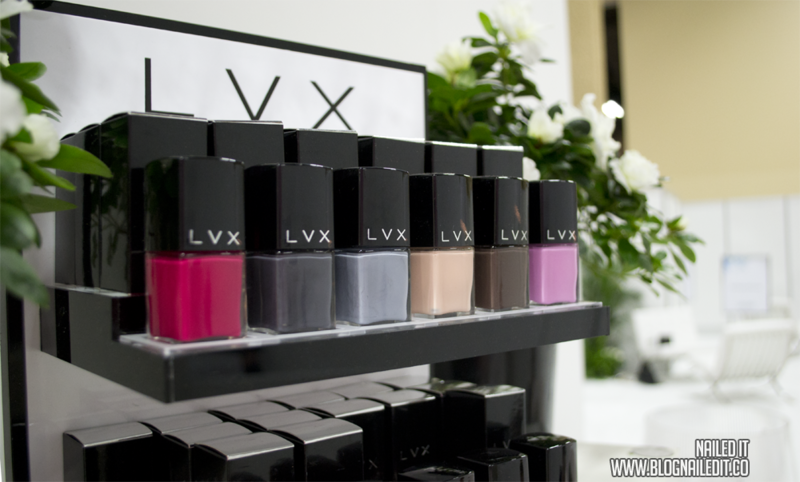 Tonight I've got another post from Cosmoprof 2014, this time from LVX. Remember, you can see all of them by browsing the CPNA2014 tag. 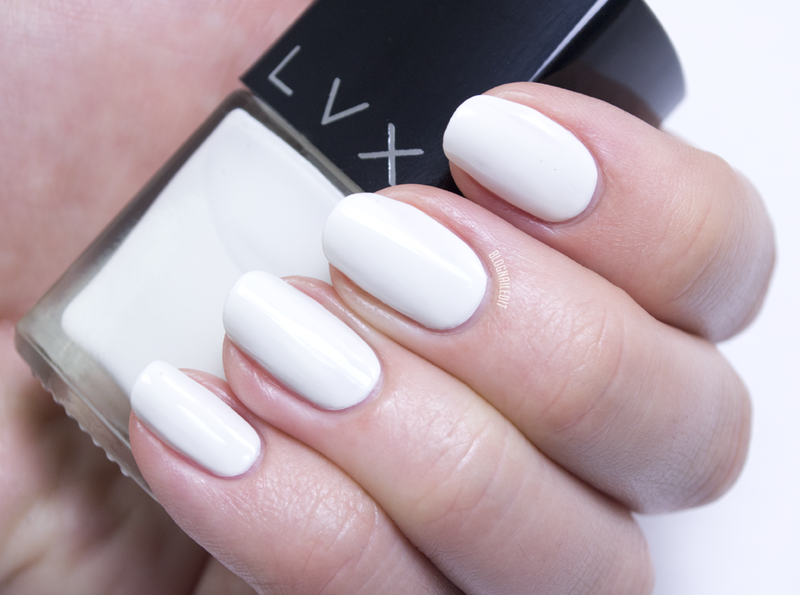 I've reviewed LVX polish before (here). What sets LVX apart is its deep integration with the world of high fashion. Each year, there are 4 seasonal collections released, each with 6 colors and right in line with the seasons of fashion. What's more, the colors are carefully selected after closely studying thousands of runway presentations from renowned designers, including one big designer that provided plenty of influence in past collections, Alexander Wang. The founders (who I had the pleasure to meet) are Branka and Rade Tomic. (Who doesn't love a family polish? The duo are siblings!) They take their dedication to fashion and luxury very seriously, and have sponsored several shows with LVX. While they say they haven't been to international shows yet, they've been to New York and Miami, where they adorned around 20 models' nails with LVX lacquer. The fashionable lady doesn't need to worry when she reaches for a bottle of LVX. It's "fashion with a conscience". Their formulation's are 5-free, vegan and cruelty-free, which means it's never tested on animals. This is great news for our Boulder salon, as clients request vegan and cruelty-free polishes more and more. 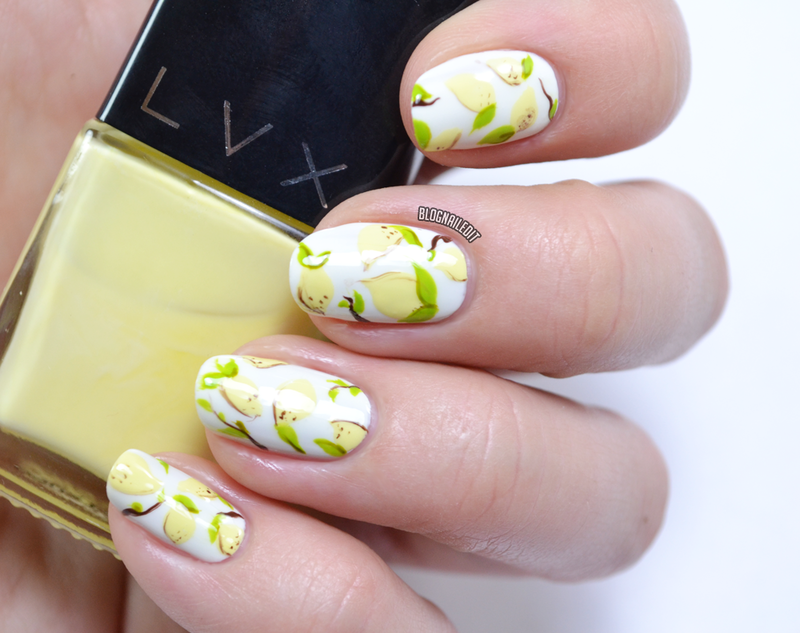 Fashion extends to the packaging and display of LVX polishes as well. Take a look at the upcoming Fall collection, announced for the first time at Cosmoprof (and available soon). Very sleek! So what's new with LVX? I sat down with Branka and Rade, and they shared that LVX has a full manicure system in the works. That would include things like oils, base coats, top coats, removers, etc. With this, they hope to offer healthier alternatives to what's already on the market. And while no gel systems (or gel hybrids) are in the making, they were happy to offer me a sample of their top coat, which is touted as gel-like, just as their polishes are. Additionally, LVX is partnering with the National Breast Cancer Foundation in October and donating 100% of all profits from their signature pink, Lolli. 100% is huge, and really makes LVX a standout and standup brand in my mind! With that in mind, here's a look at two colors I picked up at the show, combined to recreate a nail-friendly designer's pattern. 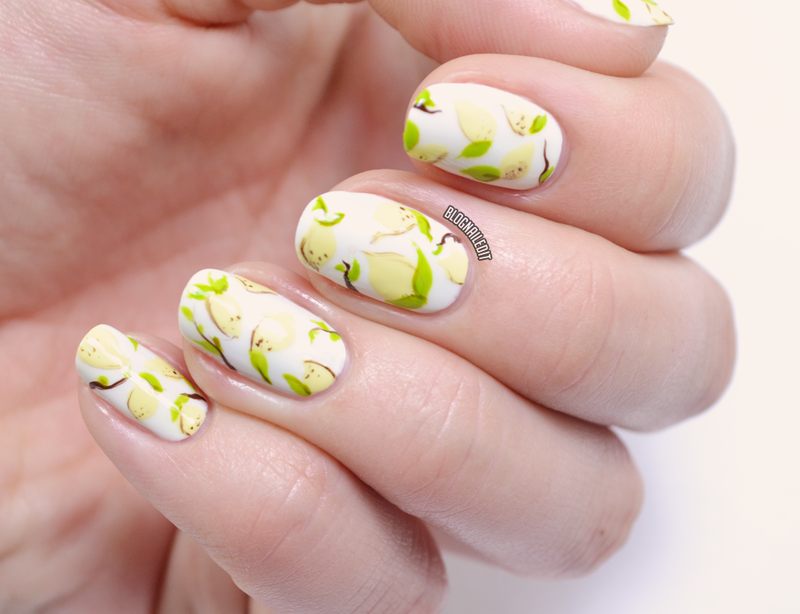 Here, I used Lemondrop and Porcelain to mimic the Kate Spade lemon pattern. I loved the colors, especially Lemondrop. I had trouble with application myself, finding it a bit streaky, but I liked them for nail art. Added a slight filter to give it a more vintage look, similar to the lemons. In both swatches, I used their top coat and liked it. I tried it over my nail art as well, and unfortunately, it didn't even out the bumps that inevitably show up when working with polish for nail art. Seche Vite's still better for that in my opinion. The top coat does dry quickly though, which is always a great bonus. I look forward to seeing the official release of the Fall line, but in the meantime, their Winter Resort collection is live! It's full of deep colors, several with shimmer. I really enjoyed sitting down with and grilling the Tomics about LVX, and I'm eager to see what the manicure system looks like!